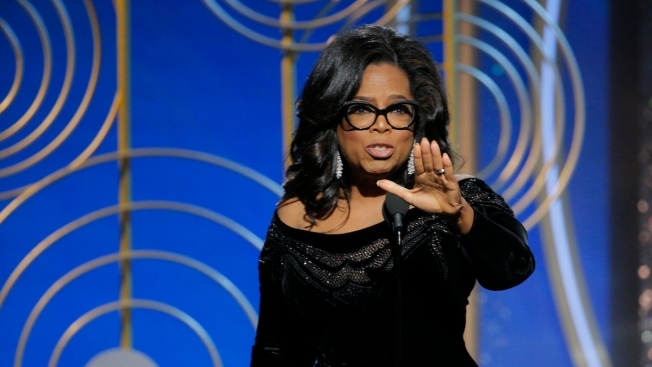 "These young people get to be literally warriors of the light"
In this handout photo provided by NBCUniversal, Oprah Winfrey accepts the 2018 Cecil B. DeMille Award speaks onstage during the 75th Annual Golden Globe Awards at The Beverly Hilton Hotel on Jan. 7, 2018, in Beverly Hills, California. Oprah Winfrey has nothing but praise for the Florida school shooting survivors who have channeled angst into activism, calling them "warriors of the light" and comparing them to civil rights pioneers. In an interview with The Associated Press on Saturday, Winfrey drew parallels between the teens and the Freedom Riders of the 1960s, who rode buses into southern states in protest of racial segregation. Winfrey called the Parkland students' protests for gun control "a proud moment." "It's an evolving moment for our country. The same thing happened, as you know, back in the '50s and '60s for the civil rights movement," Winfrey said. "Young people said, 'We will not tolerate what our ancestors have tolerated. We have had enough and we're willing to fight for it and willing to march in the streets for it and, if necessary, die for it.'" 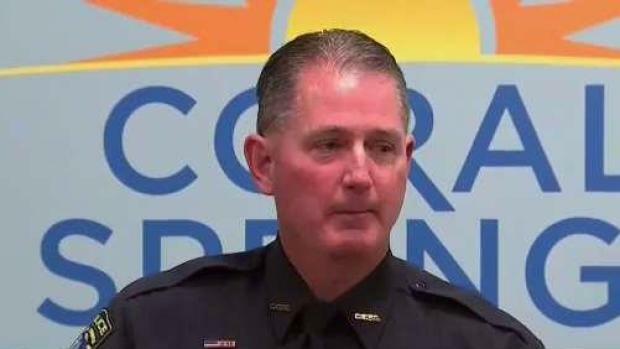 NBC 6's Michael Spears reports on the stories shared by the first responders who reached the Parkland school where a gunman took 17 lives. Winfrey spoke while promoting the upcoming film "A Wrinkle in Time," directed by Ava DuVernay and featuring her, Reese Witherspoon and Mindy Kaling. The film is adapted from Madeleine L'Engle's science-fiction fantasy novel. "These young people get to be literally warriors of the light," Winfrey said. "That's what they're trying to do. They're trying to — through their voices, through the March For Our Lives — say 'We will not let this happen again. We are going to do what we can to banish the darkness.'" The former talk show host last week matched a $500,000 donation by George and Amal Clooney to the students' planned marches, including one on March 24 in Washington, D.C.
Winfrey also again reacted to President Donald Trump's recent tweeting about her in which he called her "very insecure." "Nobody wants to be hate-tweeted, especially by the president," said Winfrey. "So it's not a comfortable thing I think for anybody on social media who's had somebody say something about you that you didn't feel was true. But I believe that you meet any kind of negativity in your life, that you meet it with light."